Vietnam is one of those countries that you can’t help but fall in love with. Not only is it super easy to travel on a budget, there are so many fun little things to do that you might not find elsewhere. Hanoi, the bustling capital, is a great starting point from which you can wind your way down the country passing through cute towns like Hoi An, ending either in Ho Chi Minh City or travelling on through to Cambodia! Take a look at this incredible two-week itinerary! Check out the best things to do in Vietnam on a budget and be prepared to be ready to book a trip! You’d be mad to avoid the street food in Vietnam! 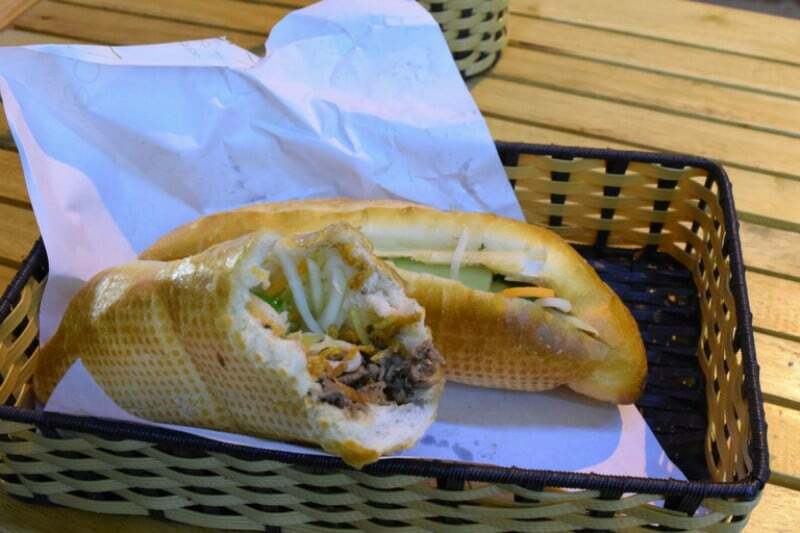 Head straight for a stall and order a Banh Mi – a French inspired sandwich full of flavour and for less than 20,000VND/£0.70/$0.90! You can also grab some spring rolls, freshly made on the side of the street. Fill up for breakfast, lunch and dinner, and still travel Vietnam on a budget! 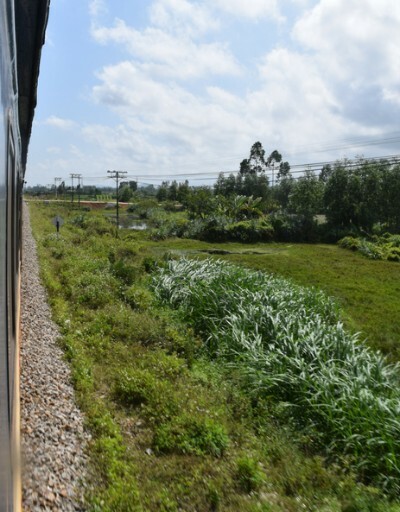 This might sound a little nerdy, but we had a really good time on the sleepers trains through Vietnam considering it was just our mode of transport! We spent 29 hours on one, and we were able to relax on our beds, watch the films we’d downloaded and snack on instant noodles. Pay the tiny extra and get a soft sleeper – your back will thank you for it and you might even have a compartment to yourself. It will only cost 508,000VND/£18/$22 each from Hanoi to Nha Trang, which is 1283km/797 miles. If you have the money, then by all means, get a flight! But if you’ve got time and you’re on a budget, travelling on a sleeper train is the way to go. Check out this fantastic website to grab the cheapest train deals in Vietnam. Don’t forget that Vietnam also has sleeper buses – we didn’t take one but check out this review of a sleeper bus to Hanoi! Even in wet season, waterparks are always fun! Vinpearl Waterpark in Nha Trang is a fantastic day out! 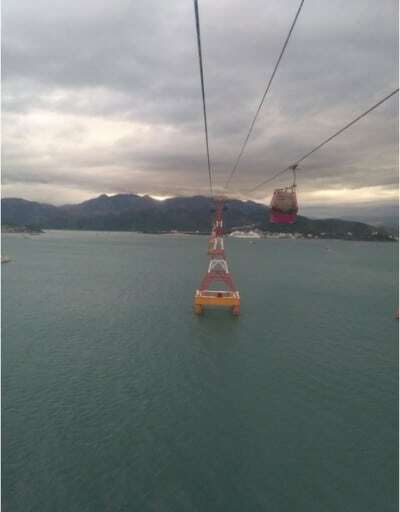 You can even take a gondola (included in the price) to the small island where the park is located! You can spend the whole day here and you won’t get bored, for only 700,000VND/£25/$30. It might not sound like travelling on a budget, but for a whole day trip, it’s a great deal! Yes, you read that correctly! Grab a glass of bia hoi, which is the locally brewed beer in Hanoi, for around 5000VND/£0.17/$0.22. You’ll see vans driving around delivering the fresh stuff, and then they collect the bottles at the end of the night. The places to find this cheap beer are the tiny little corner restaurants with plastic tables and chairs outside. It’s not a fancy night out, and bia hoi tends to only be around 3% but you can have a great time for less than a dollar! Asia is full of pretty waterfalls, so you’re bound to be close to one in Vietnam. If you’re a bit of a distance away, ask a taxi driver to take you to the falls, wait for you and drive you back. You usually won’t have to pay to access the land, and your personal chauffeur won’t knock you back much either! Again, the Hoa Lo prison museum is an interesting way to spend half a day. 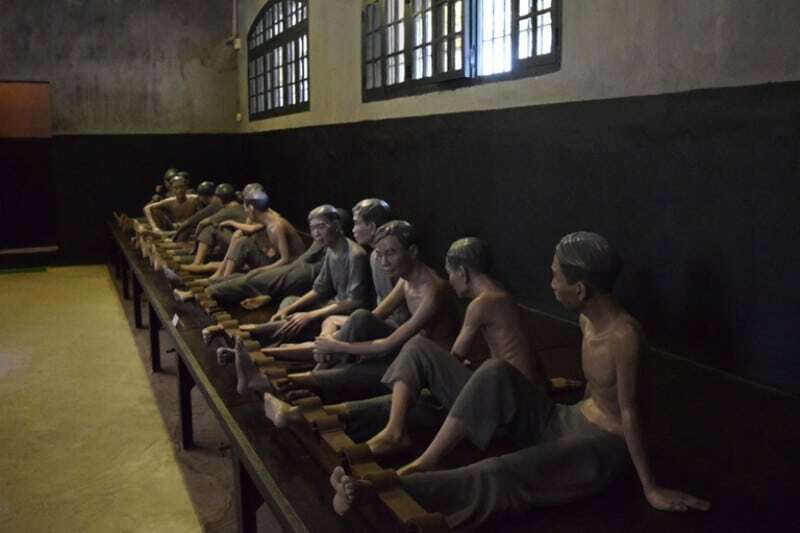 Once you’ve paid your 30,000VND/£1/$1.30 fee, you can wander around and discover how the prisoners actually lived. It isn’t a happy place, but you do learn a lot and come away feeling very lucky to have your own freedom! Usually, travelling is an escape from real life and is fun and light-hearted. 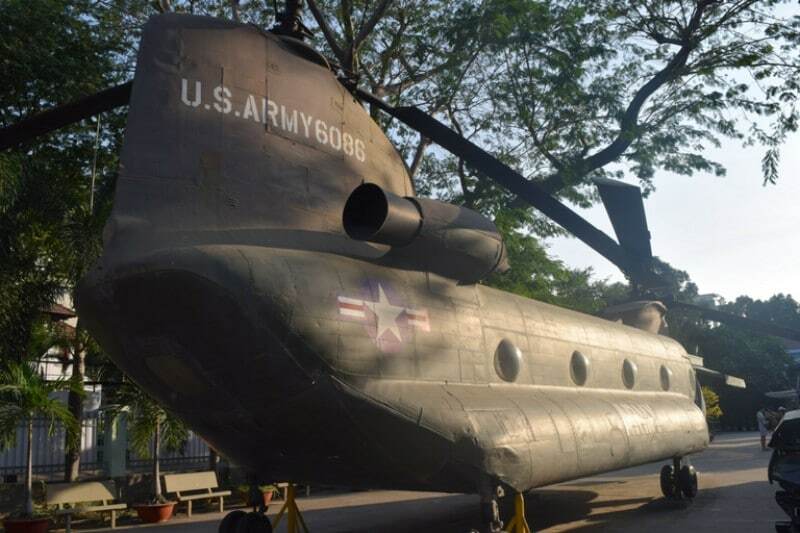 However, a visit to the War Remnants Museum is a must when in Vietnam. Not only can you spend an afternoon here for only 15,000VND/£0.50/$0.66, but it will open your eyes about the horrors of the war history. It’s always good to learn new things about the country you’re visiting, and learning about the past is no exception, even when you’re on a budget. Make your way down to Ho Chi Minh City to experience this museum. 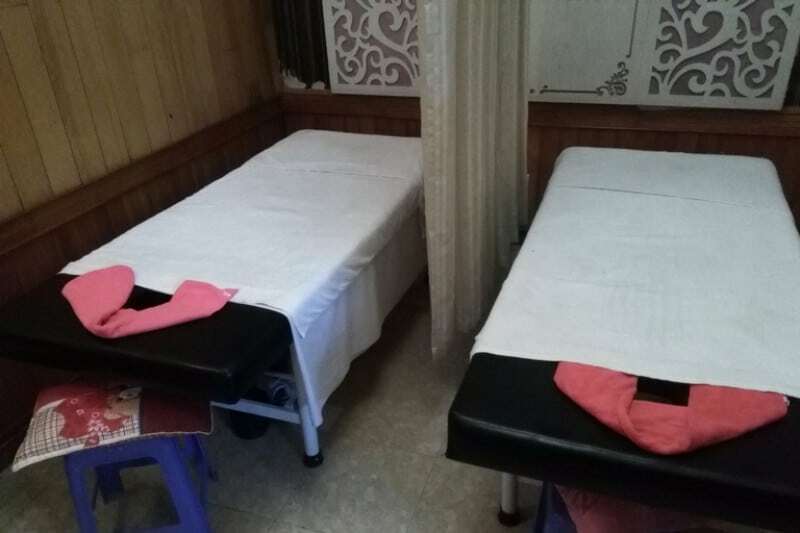 Make sure you treat yourself to a massage or five when you’re in Vietnam! From as little as 120000VND/£4/$5 you can relax for an hour or even more, with scented oils and calming music. Or you could choose the stronger type which might feel more like a beating than anything else! There are lots of different types of massages, and you can choose the length of time. Just be careful that the parlour you visit doesn’t offer you anything more than a massage! If you’ve been travelling around Vietnam for a while, or even a few days, you’re bound to get tired of all of the haggling, walking, humid or hot weather, crazy traffic … you get my drift! But Vietnam has some gorgeous beaches that you can chill out on. 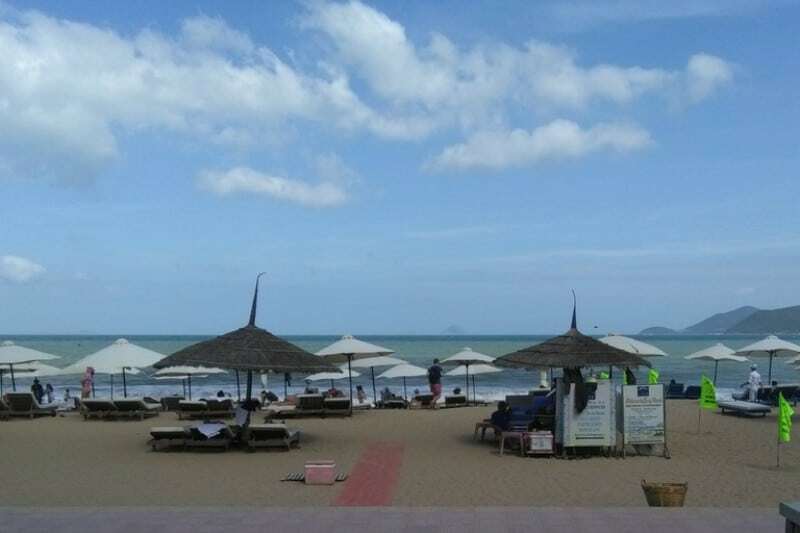 Nha Trang is roughly in the middle of Hanoi and Ho Chi Minh, so if you’re looking for some relaxation time on a budget on your way through the country, then this is the place to go! 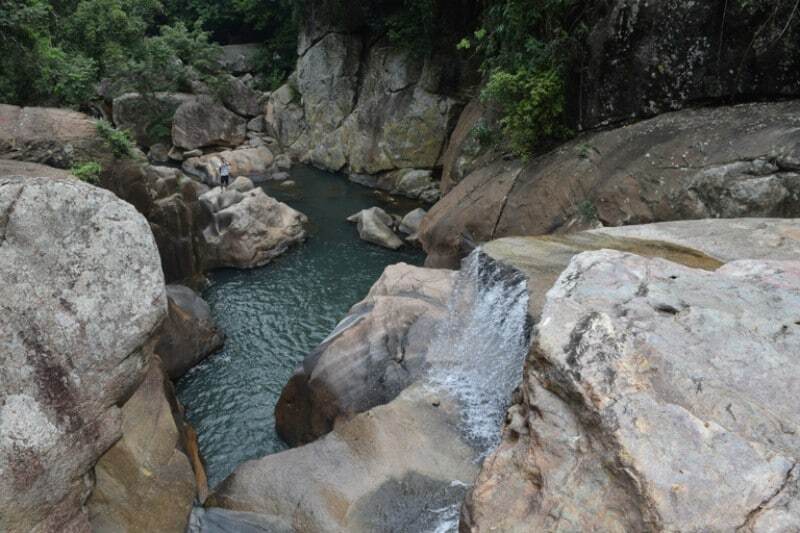 Another great option is Ly Son Island – it’s not overrun by tourism yet which is a rare find in Asia! Always make the most of your holiday budget! There are tons of things to do in every country that don’t cost a lot, or are even free. Don’t let lack of money put you off visiting some incredible places around the world. Have you been to Vietnam? Were you able to stick to being on a budget but still have a good time? Let us know! Yeah I agree with all your tips and descriptions but, what seems most incredible to me is that foreingers never pay the local price but, since it’s still cheap, no one will never complain about it. The only I didn’t like from your list was bia hoi, as I felt it not even 3% but 1% perhaps! I drank like 15 or 20 glasses and didn’t feel anything except for the need of going to the toilet continuously! Yeah, I never complain if I think it’s an acceptable price for what I am getting. 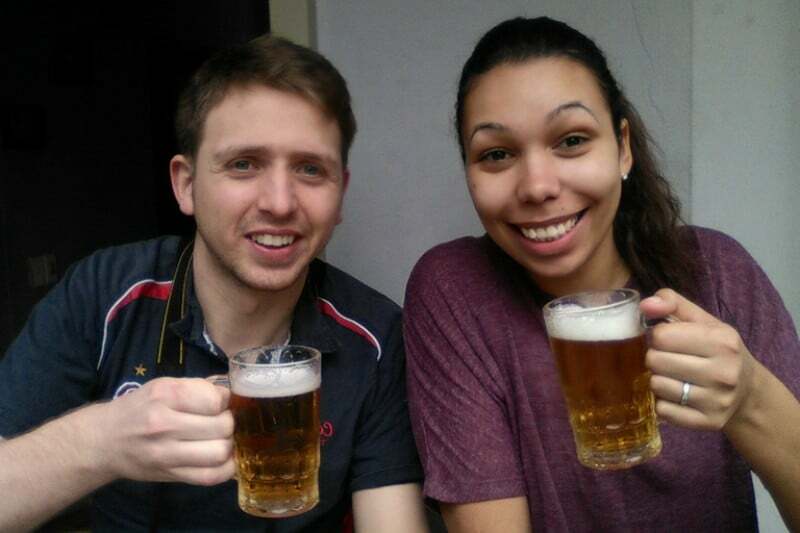 Bia Hoi is a tricky one because it’s brewed daily, you might have been unlucky haha!